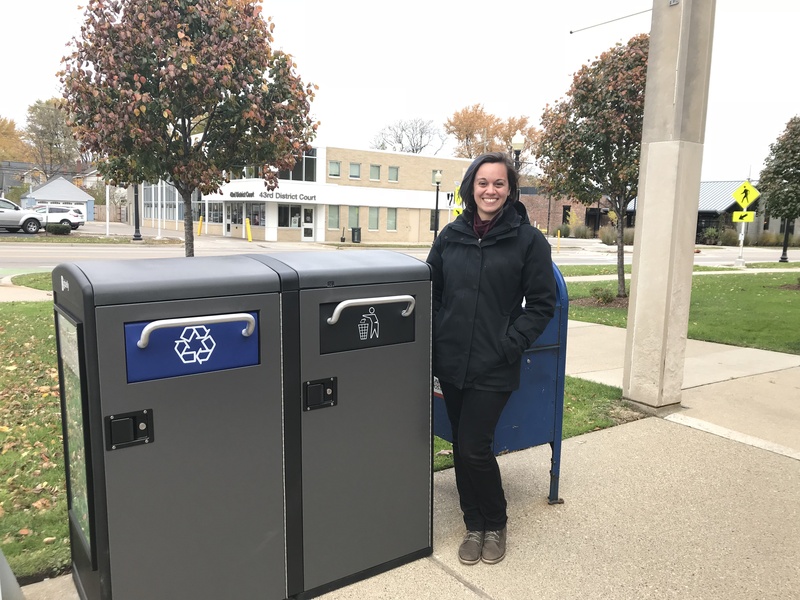 The City of Ferndale recently welcomed seven new Bigbelly smart waste and recycling systems to the downtown area. The Bigbelly stations, which allow for both trash collection and recycling, come equipped with GPS location and real-time capacity check. This software will help determine which units are close to needing service—eliminating overflowing bins and blowing garbage. The City’s installation includes one “high capacity”compacting system, which features a solar powered compactor and holds 150 gallons of waste, and six “standard capacity” non-compacting systems, which each hold 50 gallons of waste. Once capacity has been met, an internal sensor will push a real-time notification to the Department of Public Works that they need to be emptied. Other benefits from the Bigbelly systems include measurable sustainability with recycling diversion rates and reduced pollution and carbon footprints. The new units have been placed in two locations: four in the Withington Lot and three in the City Hall/Library lots.